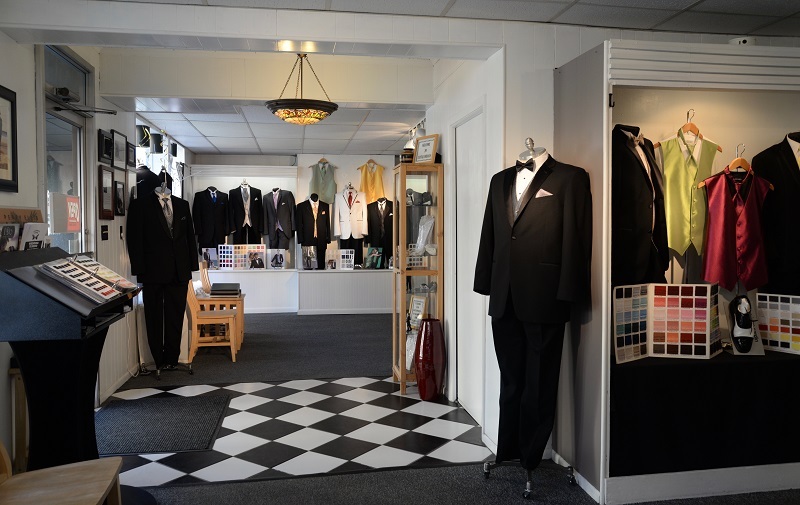 Cantalamessa Formals has all the latest styles and brands of tuxedos and accessories to outfit grooms and groomsmen for the big day. Trust us to have you looking your best on your wedding day! Cantalamessa Family Business History — 91 Years and still going strong! To coin a cliche, he came over on the boat to seek his fortune in America. 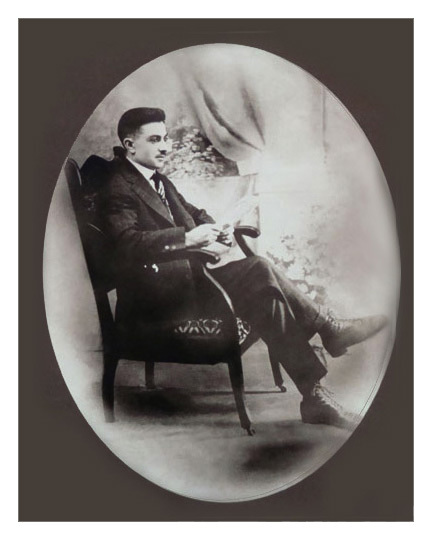 Early in the 1920’s, Tito Cantalamessa did just that when he immigrated from Ascoli Piceno, Italy to Uniontown, PA. A master tailor by trade, he set up shop on Uniontown’s Main Street in 1925. With the influx of tailor craftsmen and growing demand for fashions, the industry was gaining in popularity throughout the region. A small boy was waiting in the wings to try his hand at this meticulous art. Tito’s eldest son Joe, became the second generation to carry the Cantalamessa name. At the early age of six, Joe began learning the trade, taking to it very naturally with skill and dexterity. Through the years he blossomed into this areas most renowned and respected tailor. Eventually, he became the first president of the renowned Uniontown Bridal Association and held that prestigious position for more than a decade. As business prospered, Cantalamessas branched out into the dry cleaning craze which began booming in the 40’s. In keeping with tradition, they cornered the market as the areas number one professional dry cleaner for many years. With the growing popularity of ballroom dancing in the 30’s and 40’s, the demand was created for a more formal elegant look. 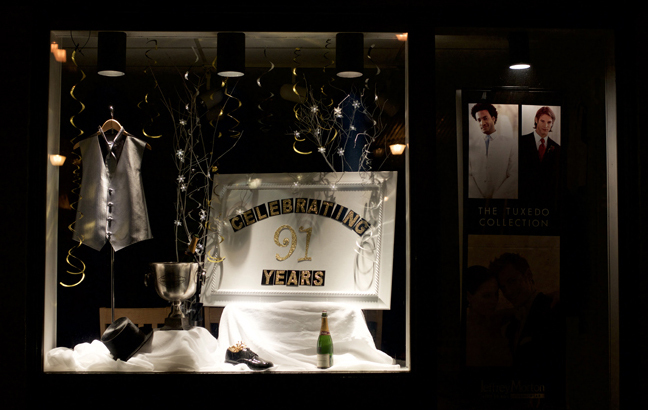 Cantalamessas stepped out and introduced tuxedo rental service to Uniontown and the surrounding area. Thus, the trademark phrase ” the first in formal wear” became synonymous with the highly esteemed Cantalamessa name. What began as a novelty service became an integral part of the family business. Joe focused his attention more in this direction to expand this exciting industry. Feeling the growing pains, in 1960 Cantalamessas relocated to its present 11 West Church Street location in downtown historic Uniontown. During the Baby Boom there was in turn, a wedding boom which made the timing right for formal wear expansion. Keeping pace with the ever changing formal fashions has been the major goal for Cantalamessas. Eventually, a third generation of Cantalamessas entered the picture to carry on this quality family tradition. He is the grandson of Tito and Joe’s youngest son, Chuck Cantalamessa. Chuck is a graduate of Ohio University with a Bachelor of Arts Degree in Business Management and a minor in English. He breathes new life into the business with his touch of innovative ideas. Expanding the scope of cutting edge designer fashions has been a major focus in both tuxedo rental and sales as well as uniform sales for the hotel resort and restaurant industry. Because of the overwhelming success in these areas, Cantalamessas phased out dry cleaning to devote full attention to formal wear and uniform apparel. In 2004 the 11 West Church location underwent a total renovation to better serve customers. Cantalamessa’s aim is to keep pace with the ever changing designer creations and to meet all customer demands. Constantly updating and maintaining a most extensive inventory of styles and sizes enables them to accommodate the customers every desire. The family tradition of attention to detail, has been handed down from generation to generation always assuring a perfect fit and customer satisfaction. For over 80 years, Cantalamessas has truly been enjoying the rewards of a real American success story.